Going to Dublin and coming away without having quaffed at least one Guinness or a whiskey is unheard off – and most visitors who like a tipple end up having a lot more. Dublin is Ireland’s capital and awash with welcoming bars, clubs and pubs that open late into the night. But booze plays a big part in the life of most Dubliners. The Temple Bar – unsurprisingly in a street called Temple Bar – has plenty to offer for a night out. The pub has a huge whiskey collection with more than 4540 bottles of Irish, Scotch and bourbon. Some of the bottles are made especially for the pub, others are rare gems, such as the exclusive Powers, bottled only for the Temple Bar from a 14-year-old cask of just 242 bottles. 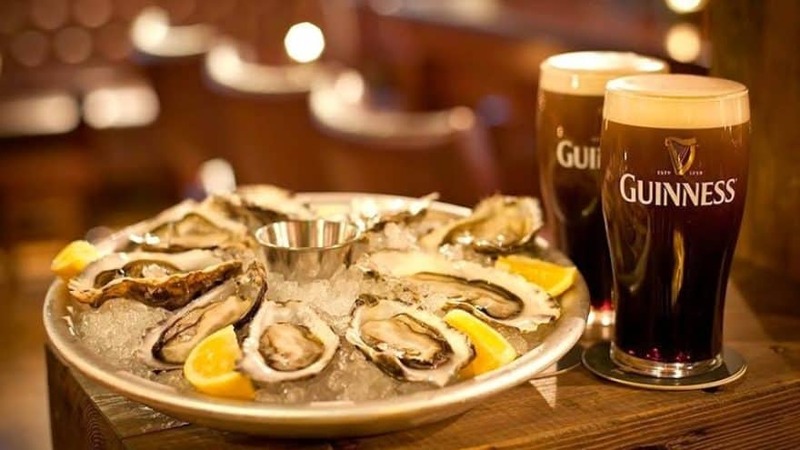 While you are sampling a whiskey or a Guinness, wash down a plate of famous Dublin oysters while listening to some traditional live Irish music. The Church is another exotic location. Far from Mass or confession, The Church is a club, restaurant and bar on the corner of Mary Street and Jervis Street in the city centre. Set inside a lovingly restored church, outside id a fabulous glass-encased staircase. And don’t forget Dublin is the best place to sup a Guinness at the famous storehouse in the St James’ Gate Brewery for 18 euros. Expect to jostle almost shoulder to shoulder with crowds of tourists, but after the historic tour that explains how the pint is brewed, you’ll end up at the Gravity Bar on the seventh floor where you can relax with a pint and experience a wondrous 360-degree view of Dublin. Another major stop on any drinking tour of Dublin is the Old Jameson Distillery, off Smithfield Square. More history and explanations await you, but again you have the chance to taste the product, even though the distillery ceased production nearly 50 years ago. You’ll also get a certificate that confirms you are a seasoned whiskey drinker to proudly show off back home. The tour lasts 45 minutes and costs from 20 euros.